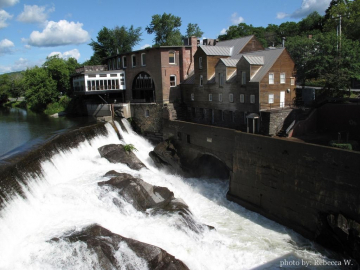 Quechee, VT - Vermont and New Hampshire Real Estate - Quechee Associates, Inc.
Quechee is a 4 season resort that allows you to fully enjoy Vermont and all that it offers. Enjoy the two championship golf courses, the twelve tennis courts, indoor and outdoor pools, state of the art exercise facility, lighted paddle ball courts, ski hill, small man made lake with sand beach, restaurants, hiking trails, cross country ski trails and more. This beautiful area is perfect for getting away for a weekend or for year round living. Close to all the Upper Valley offers and conveniently located to I89 & I91 making it easy to get to. Home of the famous Simon Pearce glass blowing and restaurant, the Quechee Gorge and of course the yearly balloon festival. A hidden gem that offers something for everyone.